Tuffa UK has launched a new initiative aimed at reducing waste and recycling unused plastic material. We are working with Swinton based Roydon Recycling who give our scrap plastic a new lease of life. We have some plastic tanks that are damaged or that don’t meet our rigorous quality control standards.We also have some waste off-cuts from our production processes. Roydon Recycling shred the waste plastic when it arrives at their processing plant. The plastic is melted and goes through an extrusion process, before being cooled and dried to form pellets which are graded for quality. They then go back into the British Plastics Industry to be used to manufacture other Polyethylene (PE) products like pallet wrap and cling film. Roydon Recycling’s Business Development Manager, Mick Fairless is pleased to be working with Tuffa Tanks. 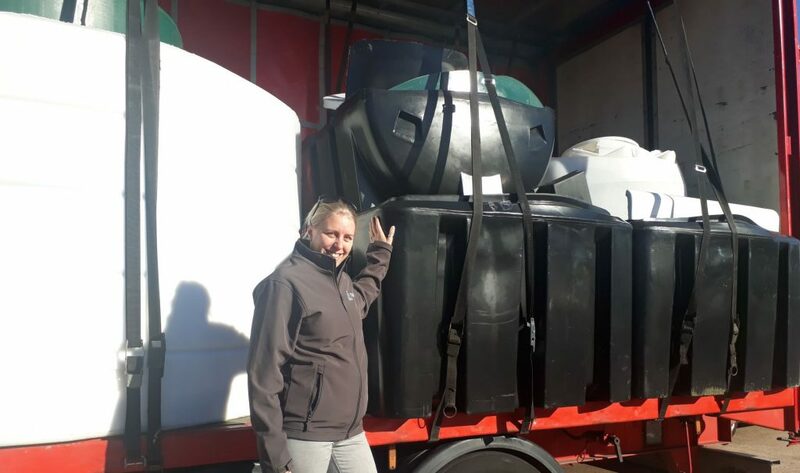 “It’s great for us to be partnering with one of the UK’s market leading tank manufacturers. We were impressed with Tuffa’s determination to minimise the environmental impact of their manufacturing processes. It’s been a pleasure to work with Emma to co-ordinate this project,” he said. We have a shared responsibility to use plastic carefully and recycle where we can. We’ve all seen images of litter and rubbish on shore lines and are aware of the effect that can have on the local marine environment. This is usually caused by “single use” plastic like drinks bottles and cups. Tuffa’s plastic tanks are a more responsible and environmentally friendly use of plastic. The tanks are in constant use in one location storing fuel, chemicals or water. They are bunded to prevent spillage and comply with Secondary Containment regulations to help protect the local environment and water courses. Our Rainwater Harvesting Tanks help to reduce mains water consumption and maximise the precious resource of natural rainfall. You can find out more about the effects of UK climate change and the benefits of rainwater harvesting here.